Coralite Woodworks specialize in residential remodeling, custom kitchens, master bedrooms, designer bathrooms, second stories and room additions. 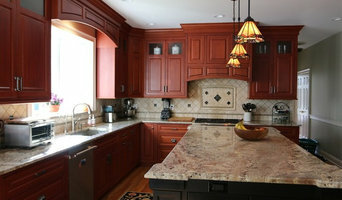 Coralite Woodworks is a full service Design-Build Company with custom cabinet and trim manufacturing facility. Now also offering more options with our new Stock Cabinets and Semi-Custom lines. Choose between Custom, Semi-Custom and stock cabinets, giving you the customer more options and value to choose from without sacrificing quality. 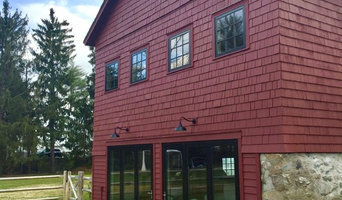 Coralite Woodworks is an independent, licensed, fully-insured and owner-operated company with over 25 years experience in the construction, architectural design and the woodworking field. We offer complimentary design consultation for all projects to guide you in designing what best suit your space, style and needs. Creating spaces in your home that is comfortable, inviting and dynamic. We offer designs in a variety of styles in order to reach that perfect balance of comfort and functionality. Creating the dream space that emphasizes your personal taste and enhances the charm and value of your home. Add elegance and style your family will enjoy for years to come. We are a full service Architectural and Interior design firm . Our mission is to provide clients with superior design, exceptional customer service and create the vision they have dreamed of into reality. Our attention to detail has provided our clients with successful projects from start to finish. Waverly Construction LLC applies an old-school standard to home renovations; the ‘owner-operated’, ‘one project at a time’, ‘hands-on’ approach to home renovations. Kitchens, bathrooms, custom built-ins, millwork, additions, and full home renovations, there is something to be said about the quality and reliability that comes with an owner wearing a tool belt. For over 25 years master carpenter Russ Schif has applied this personal approach to home renovations throughout Fairfield County. Managing expectations is paramount to the success of any project. It’s perhaps the single most important skill set of any contractor, but often the most neglected. When a contractor is tangibly connected with a project there exists an advanced level of communication. In our experience, the client appreciates the connection, the project runs smoother, and a higher level of quality is realized. Fairfield's Award-Winning Architect 40+ Years of Experience! Welcome to LTB Properties! LTB Properties was founded in 2005. LTB Properties is a full service design and build company. We believe that home remodeling and building is an art and that every job should be a masterpiece. We are Carpenters by profession. We love what we do. It is extremely rewarding work. Everyday we can see the results of our efforts. It is our goal to go beyond your hopes and expectations. You will be 100% satisfied with our work or the job is not done. We even warranty our work for two years. That is a year longer than what is required by the state. Our mission is to build an honest long term relationship. You can and should expect honesty, thoroughness, reliability, timely work, and excellent workmanship. We excel in customer relations, quality control, and communication. We can help you from concept to completion. We would like to bring our efforts and passion to your project, big or small. Let us help you build your dream house. All estimates and initial consultations are free. Give us a call and and meet contractors who will make you happy. Visit our state of the art showroom! Soudi Amini's fascination with architecture and design began as a young girl marveling over palaces, tile work and ancient Persian art. The feelings and moods that those wonderful buildings and gardens evoked created a sense of awe in the young, artistic Soudi as she absorbed the energy, shapes and forms in cities she journeyed through. Today, Soudi is the founder and principal of Soudi Amini Design, a full-service design studio that offers the expertise and wisdom of an architectural and interior designer with more than 25 years of experience Experience, expertise, and proven commitment to efficiently serving the needs of all clients - these qualities define Soudi Amini Design. Interior designer Soudi bases her artistic decisions on your rational and emotional desires for any space, as your emotional and psychological preferences guide many decisions. Abbot Builders is a Fairfield county construction company. 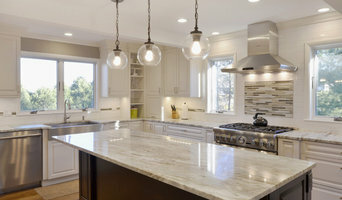 Our company has a proven track record of over 15 years of delivering superb luxury homes, custom renovations and restorations in CT. We have been maintaining our standing as one of the Connecticut leading General Contractors with a rigorous focus on construction, project management, work quality, and client satisfaction. Abbott’s long list of projects and repeat customers demonstrates our success at maintaining long-term relationships, exceeding expectations, and completing an array of challenging jobs, large and small, on schedule and within budget. Our goals are simple: Solid foundations both structural and personal. We know the importance of both. Our relationships should last as long as foundations. To achieve these goals we are committed to the highest quality workmanship at the most reasonable cost. Abbott Builders has a full complement of skilled workers on staff to fulfill every construction need. We are also up-to-date on all of the local building codes and how they vary town by town. A FABULOUS OUTDOOR KITCHEN DESIGN REWARDS THE LIFESTYLE OF THE OWNERS.... Michael Gotowala, creator of THE HAMPTONSFABULOUS. com Outdoor Kitchen collection and Founder of The Outdoor Kitchen Design Store by Preferred Properties, is truly an exceptional Outdoor living fabulously designer and masterful outdoor kitchen builder known to excel in the residential sector niche of Luxury Outdoor Living. OUTDOOR KITCHEN FABULOUS....... WE are a go to resource and one stop shop for luxury Outdoor Kitchens. We can design, deliver and build Outdoor Kitchens just about anywhere. Our outdoor kitchen indoor showroom provides inspiring outdoor kitchen design,the latest proven outdoor grills and appliances for retail, outdoor kitchen assembly and turn key design build. OUTDOOR FOOD PREPARATION AND PRESENTATION JUST BECAME FABULOUS.... The HamptonsFabulous.com Outdoor Kitchen collection is an array of outdoor kitchen islands that stand alone or configured together for any outdoor kitchen intent. Food preparation and presentation just became Fabulous. The use and versatility of these islands make up for any outdoor dining event in the same area. The same area can produce multiple outdoor dining events. For instance several outdoor kitchen carts can be set up for breakfast coffee, tea and breakfast presentation. Later in the day, some of those carts and select others can be set for a luncheon buffet. At night some of the more direct heat sources can be set amongst head chefs for dinner and such. All depending on the Outdoor kitchen intent, the usage and the amount of people to serve, these island components designed together or inline help culinary chefs and waitstaff enjoy outdoor dining much more than they have in the past. We have over three decades of design build Landscapes, outdoor living and masonry and would love to be included in your next project. Tell your friends, family and favorite builders about us. Wadia Associates - Award-winning architect for the modern age.